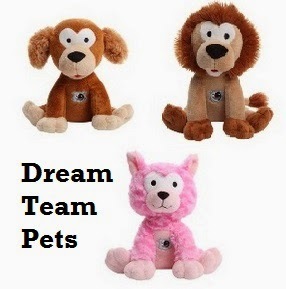 Here are the perfect Sleeping Pals for the little ones on your list, Dream Team Pets. These are 3 stuffed animals that protect the kids while they sleep from anything that scares them at night.The kids are supposed to train their pet to protect their dreams or as I told my daughter from dreams and the monsters. My Daughter loves cats and when I seen the pink cat I quickly opted for this one. 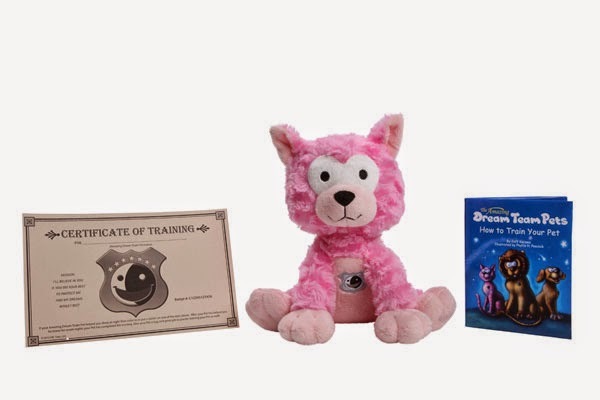 The Dream Team Pets come with a book where the kids get to name them and a place where they can write down the pets training progress. They get gold stickers to award the pet for a safe nights sleep. They also carry a Mighty Lion and Playful Puppy for the little boys.